The name of the peninsula has German origin and it means “western island”. In September 1939 Westerplatte became a symbol of Polish resistance to the German invasion. A garrison of Polish army defended the peninsula for 7 days. 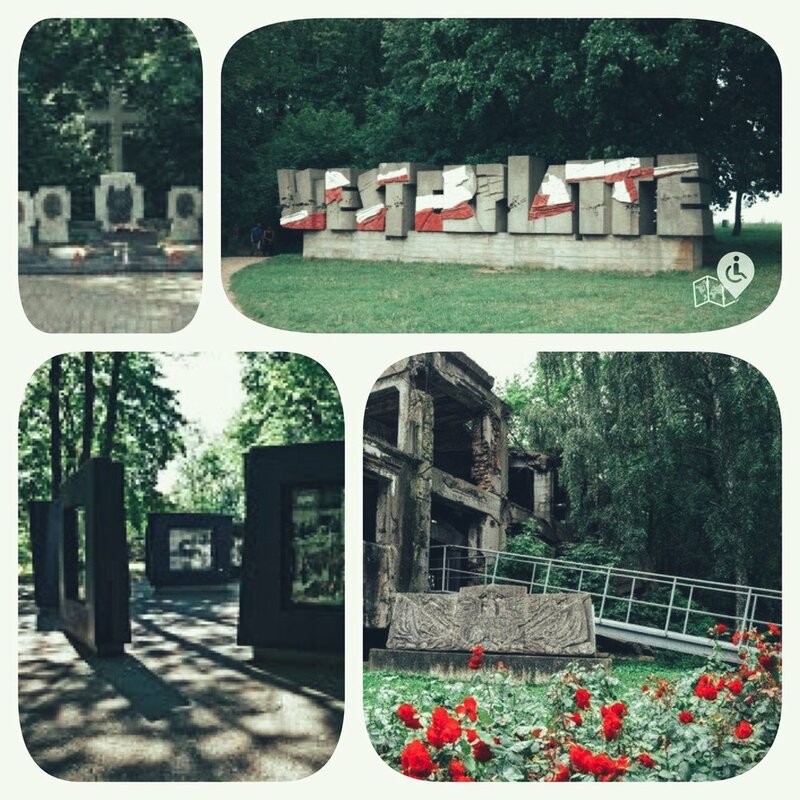 Nowadays, you can still see barracks, guardhouses, the small cemetery of the defenders of Westerplatte and a Memorial to the Defenders of the Coast. It’s a good place to spend a few hours when the weather is nice. The historical aspect is very well done with informative displays in English and Polish. It also includes a small museum (which is not wheelchair friendly due to some high steps) and a towering monument to the Polish defenders at the end of the stroll. Unfortunately, there are also steps to the main monument but you can view it from below. The site is located inside a park and the whole area is beautiful and somehow very peaceful, far removed from what happened here. There are also a few food kiosks and souvenir stands alongside the way to the monument making it a lovely stroll even if there bits that are inaccessible for us wheelchair drivers. You can reach the peninsula by taxi and it took us only 15 minutes. It also can be reached by boat. Well worth the journey. A monument on the cliff, overlooking the Baltic coastline, marks the event in memory of the Polish defenders.